Scottish born James Howe (JH) Carse arrived in Australia in the 1860s, during Victoria's gold rush. 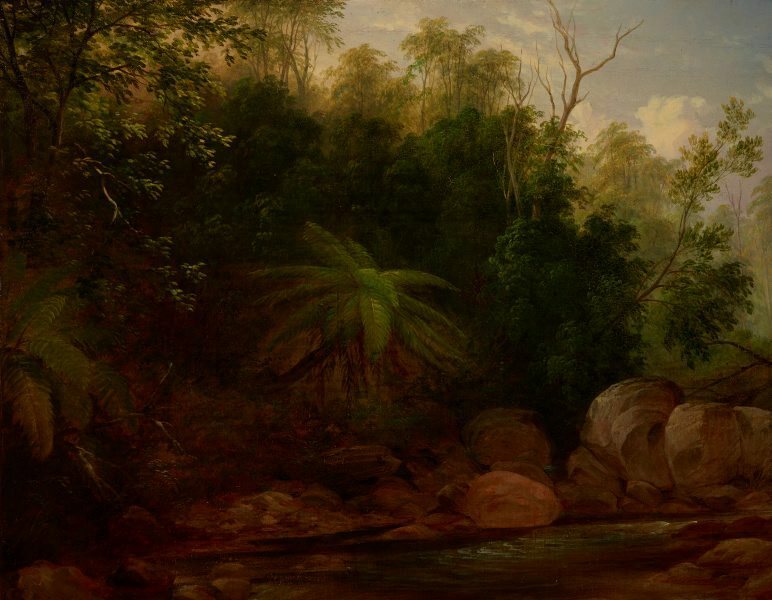 He quickly established himself as a painter of landscapes, and exhibited views of Victoria and New Zealand in 1869 at the Melbourne Public Library Exhibition. 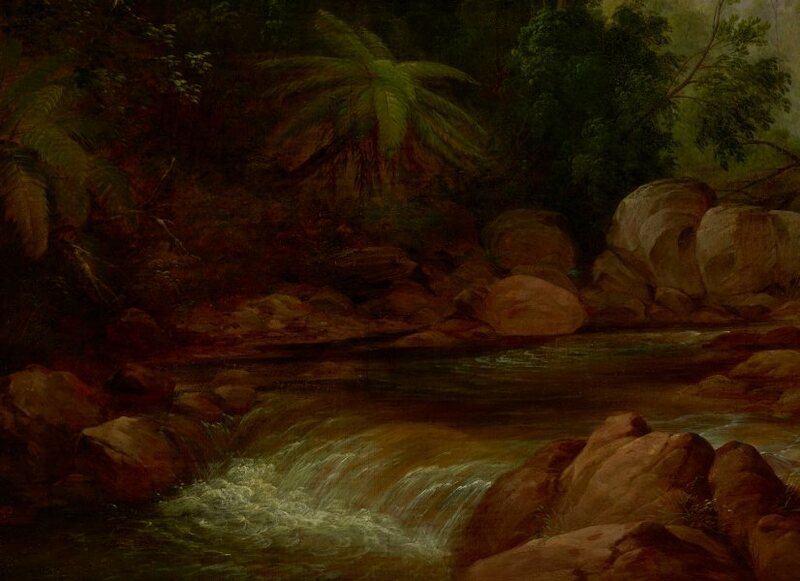 He travelled widely in the colonies of Victoria and New South Wales and became a foundation member of the Victorian Academy of Arts in 1870 and the New South Wales Academy of Art in 1872. The Tilba Tilba district lies 360km south of Sydney, on the edge of Gulaga National Park and close to the spectacular Wallaga Lake. Mount Dromedary, recently renamed Gulaga Mountain, is the sacred mountain of the traditional landowners, the Yuin people, and became the site of extensive mining in the 1870s. The first resident selector, Henry Jefferson Bate, arrived in 1869, and acquired extensive holdings for his wife and nine children. 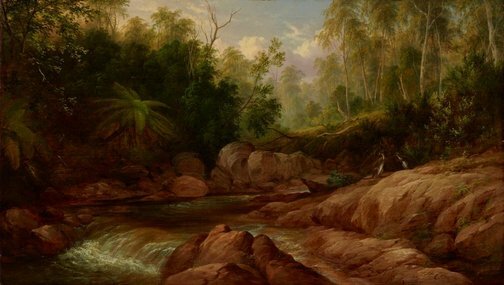 One of the Bate's children, Matilda, wrote to an English cousin in 1872: 'At the foot of the hill at the back runs the creek which with the brush it runs through is the most beautiful object in Tilba … Nothing is talked of now but minerals' [HJ Gibbney and NC Hoyer, 'Taken at Tilba', National Library of Australia, 1983, pg. xi.]. It is likely Carse stayed with the Bate Family at their homestead 'Mountain View' during his visit to the region around 1874. 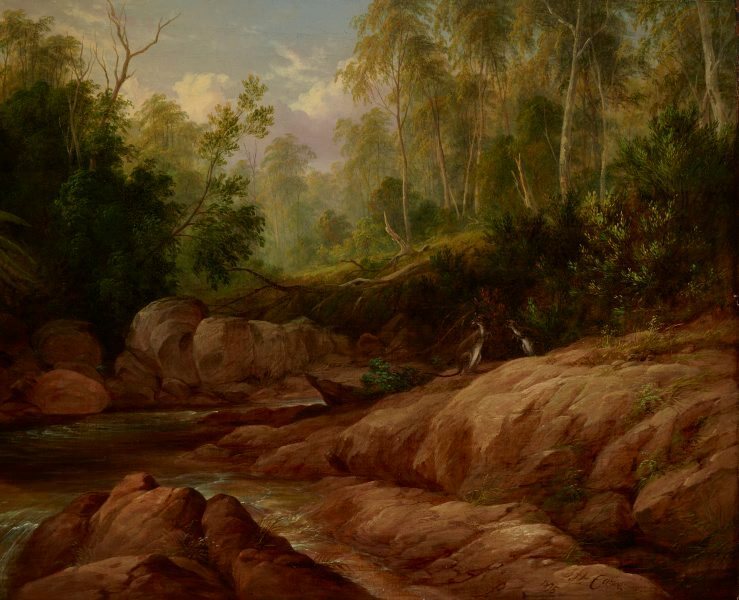 A striking example of JH Carse's landscape work from the period, 'Creek scene, Tilba Tilba' has the refinement of detail and subtlety of colouration for which his finest works are known. 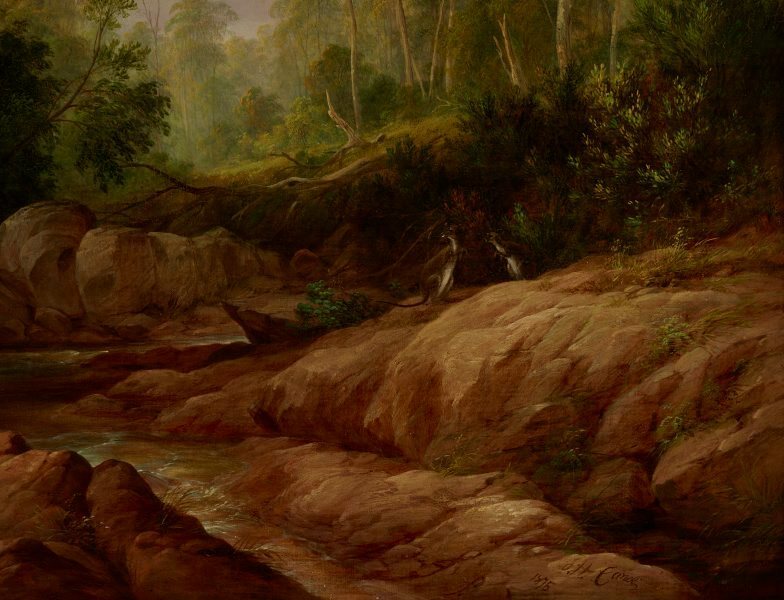 It reveals an intimate knowledge of the Australian landscape and a melancholy romanticism which was keenly felt. Scene at Tilba Tilba, N.S.W. 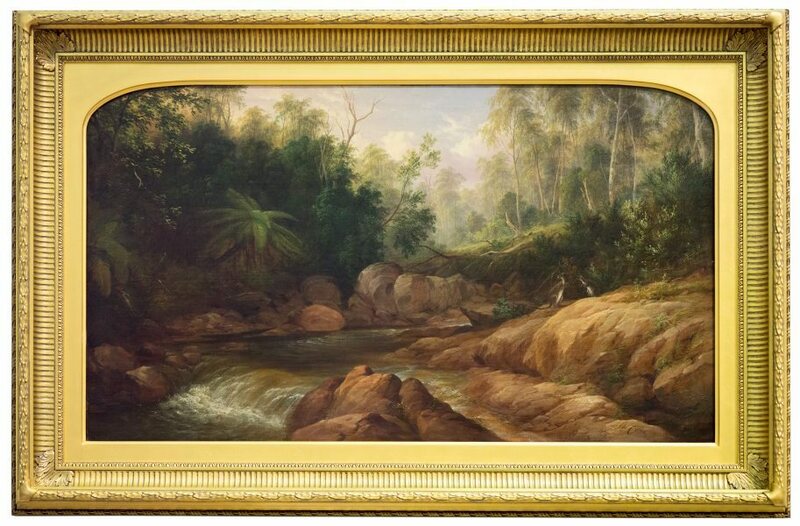 Creek scene "Tilba Tilba" "Tilba Tilba"
Signed and dated l.r., brown oil "J.H. Carse/ 1875". Stephen Sheding', The dictionary of Australian artists: painters, sketchers, photographers and engravers to 1870 , 'Carse, James Howe', pg. 137-138, Melbourne, 1992, 137. Illustrated Australian News for Home Readers , 'Exhibits', pg. 155-158, Melbourne, 06 Oct 1875, 158. reference to 'A Creek in New South Wales, and the Walaga Falls, in the same colony, by Mr. Carse'.